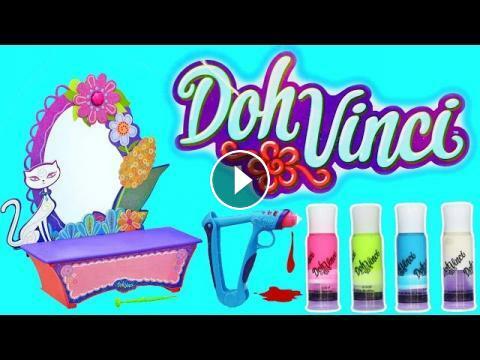 Design in 3D with DohVinci Style & Store Vanity kit, you can use the 4 Deco Pop tubes, sculpting tool and Styler in this set to decorate your vanity your way. Swirls, flowers and other beautiful details are a snap - just aim, squeeze, and design to your heart's content! The specialty tip lets you create even more snazzy decorations! The vanity has a real mirror and a working drawer, so once you're done creating, you can store your favorite things in it. You'll experience your imagination in beautiful 3D with the Style & Store Vanity kit!